I can’t tell you how often I kick back to watch a movie with a tall, cold bottle of beer, power up the home theater, and… crap… no bottle opener. Oh, how I wish my remote control had a bottle opener in it. 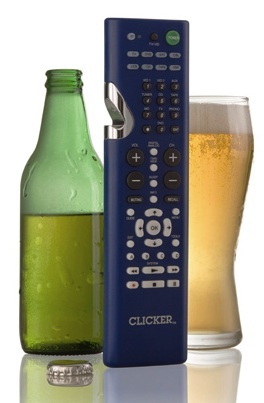 Actually, this has never happened to me, nor have I ever wished my remote could open a beer… BUT, someone else had this thought and invented the Clicker Universal Remote Control with Bottle Opener. All kidding aside, it has hundreds of preset codes, backlit device buttons, macro programming and the now ubiquitous A B C D buttons you need for DVR’s and Bluray players. Although I wouldn’t use this to replace a Harmony, it would be a cool remote in my garage. If you’ve ever needed to control 8 devices and open your beer bottles at once, this is clearly the gadget for you. 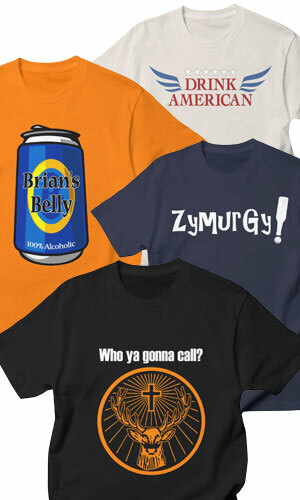 Now, can someone please combine a beer bottle opener and that girlfriend remote that goes viral from time to time? I can also see this being nifty in a home bar/rec room… until it breaks the first time I use it.